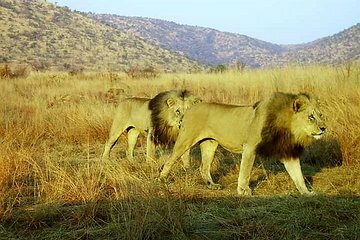 Combine visits to Pilanesberg National Park, the Lion Safari Park, and Sun City on this full-day private tour. You’ll enjoy personalized attention from your guide and plenty of time to ask questions as you travel. Get the most out of your morning game drive by listening to guided commentary on the park’s flora and fauna, then take a break for lunch at Sun City. In the afternoon, hit the Lion Safari Park for some more wildlife watching before heading back for convenient hotel drop-off.